Believe, is the course to victory. I believe in freedom, and so I believe. Does that resonate for you? JS: I am too cautious to say “resonate,” when it comes to Ashbery. He has that way of getting you nodding along, only to feel like a fool afterwards. For example, “which we all use occasionally” is a lot to slip into a dependent clause. I can feel him waving his hand vaguely in my direction. I’m half-invited to join that “all,” but the fact is, I’ve only written one sestina in my whole life–a modified one called “Malted Barley”–and this is my first ever pantoum. I think both of these forms (even Bishop’s “Sestina,” adored the world over) are doomed to failure, and so I’ve avoided them whenever possible. I only used them when I had to. In neither case do I think it was because I sought to practice “unconscious writing.” Rather, the extreme rigidity of especially the pantoum fit with what I had to say about political discourse: that it is utterly conventional, a cut and paste job rather than an exchange or development of ideas, and that we are entrapped in this discourse, and that we routinely mistake “idea-words” for the ideas themselves. SQ: The pantoum seems a wonderfully archaic form, and to see it turned here to political uses, is a surprise. Why this form? Why not a villanelle, for example? JS: A villanelle might work, but pantoums are even more slavish in their repetition, and not beautiful, at least to me. Their recycling is relentless, all invention drained after the first stanza, leaving in Ashbery’s case the unconscious but in mine the voice of George Bush, whose political strategy was to live the pantoum. As one of his advisors said in the days after his re-election, “We live in a culture of assertion. Facts don’t matter.” That is exactly the kind of culture a pantoum creates: assertion upon assertion upon assertion, with the individuality of facts bleached out through repetition. Villanelles, on the other hand, have that middle line with its independent rhyme scheme and relative independence of thought. They have two moving parts, the refrains and those middle lines, and represent to me the dynamic between departing from–if only temporarily–and returning to the object of obsession. Pantoums stay in the repetition, blind and static. SQ: I was rereading THAW the other day and as usual I find your formal engagements completely surprising and always playful. Thinking too of the “Hot Little Sonnet,” and wondering if the fact of a poem’s pleasure quotient being high is an essential part of the writing process for you. JS: Absolutely, I’m definitely pro-pleasure. Writing is sensual to me; I pant for the texture and scent of words. Again, a form like the sonnet or the villanelle is too sensual for the job of “Sham Pantoum,” out of which I tried to keep all chewy language, leaving those empty, abstract buzzwords. Please don’t find them beautiful! SQ: I know Marie Ponsot has been important to you. Can you talk briefly about how you met and what she offered to you as a poet mentor? JS: Her first act was to introduce me to Anne Bradstreet in a seminar she taught at Columbia, when I was in graduate school. That got my attention. And if you’ve read her work, you know that Marie is very attuned to the pleasure quotient of both poetic form and individual words, so there has been that aesthetic affinity, at least from my point of view. But what you don’t know from reading her work is how generous she is with her wisdom, which is vast but sits easy on her tiny frame. She shepherded my first book into print at the same time that I started teaching composition courses as an adjunct. Another Ponsot accolyte turned me on to her and Rosemary Deen’s pedagogy for essay writing (check out Beat Not the Poor Desk for yourself!). I tap her all the time for everything from classroom advice and reading suggestions to parenting advice and gardening tips. SQ: How would you describe they way you intersect form, historical poetics, and contemporary? JS: I see form as a technology, like the pencil. And just as an artist might sketch with a pencil on Wednesday, but on Thursday scan a photograph and manipulate it in her computer, a poet might pick up a form one day and the next, not. I think Marie Ponsot writes that way; I know I do. I’m no purist about received form, either. Forms are sturdy and malleable–you can customize them, much as Mona Van Duyn has the sonnet, or Marie Ponsot, for that matter. WIth enough theoretical torque, you might be able to attach political meaning to a poet’s use of form–that it’s essentially conservative–but to me that’s sort of like saying you are conservative to use a door, another technology that’s been around a long time but still has its uses. The politically right-leaning connotations also don’t make sense in light of how many formalists are gay men–e.g., Alfred Corn, Richard Howard–who don’t have much incentive to leap onto the conservative bandwagon. I also think most “free” verse is pretty highly structured. I was shocked upon first reading Ferlinghetti’s Coney Island of the Mind at how many formal elements it used. I wasn’t expecting that. And from the point of view of a person interested in “what shapes a bright container can contain,” to use Roethke’s line, the Spoken Word movement is very exciting. These poets are deeply engaged in form (and, again, hardly a bastion of conservative thought); there’s no telling what they’ll make of received forms like the pantoum or sonnet once they get interested, and they will. We’re in for a treat. SQ: How elastic do you see form? What is the most surprising use of form you have encountered? JS: I’ve already suggested that form is adaptable. One of the most surprising uses I’ve seen lately is in Douglas Kearney’s work. He’s an L.A.-based poet with Spoken Word roots and a visual arts background–the full package. His second collection, The Black Automaton, came out last year from Fence Books. In that and in his first book, Fear, Some (Red Hen Press) he performs radical experiments on the refrain, that most ancient of poetic technologies. Julie Sheehan’s three poetry collections are Bar Book: Poems & Otherwise, Orient Point and Thaw. 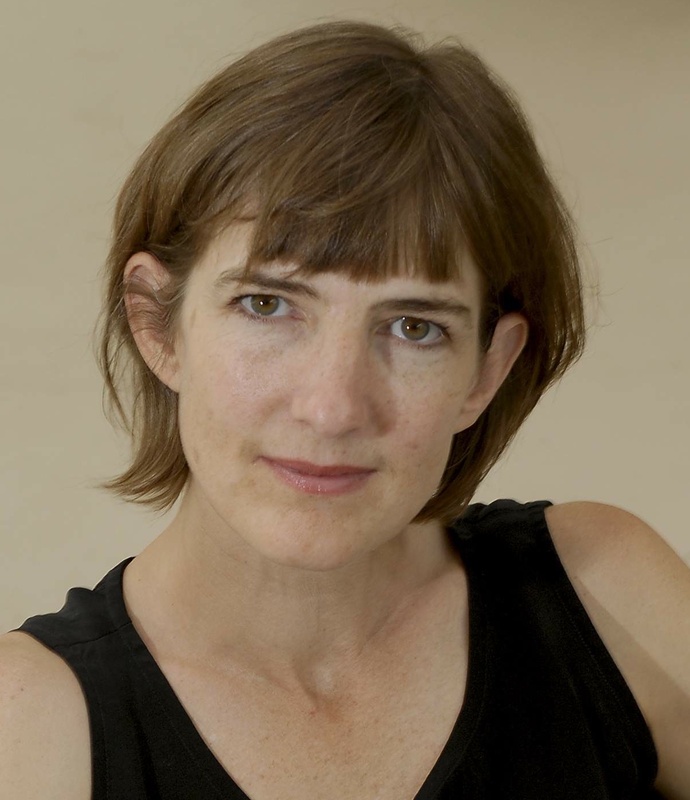 Her honors include a Whiting Writers’ Award, NYFA Fellowship, the Elizabeth Matchett Stover Award from Southwest Review, the Robert H. Winner prize from Poetry Society of America, the Barnard Women Poets Prize and, from Paris Review, the Bernard F. Conners prize. Her poems have appeared in many magazines and anthologies. She teaches in the MFA program at Stony Brook Southampton. And just for fun–a video interpretation of John Ashbery’s “Pantoum” no idea who or where it comes from.